In article Dr. Kaustav Bhattacharyya traces key themes in today’s child protection thinking of the West to the ideas of the ancient Greek philosopher Plato. Plato had a deep mistrust of the family as an institution and made some extreme suggestions about erasing filial ties in order to achieve social order and cohesion. Ideas that may have been precursors of today’s anti-family doctrine of child protection that UNICEF, Save the Children and other Western children’s charities are pushing India to adopt. This article was originally published on 24 February 2018 in the Sunday Guardian with the title Plato’s influence on Western child-protection laws of today as part of the our on-going weekly series in collaboration with them called “Global Child Rights and Wrongs”. Head of Plato, Wikimedia Commons, Photo: Bibi Saint-Pol. 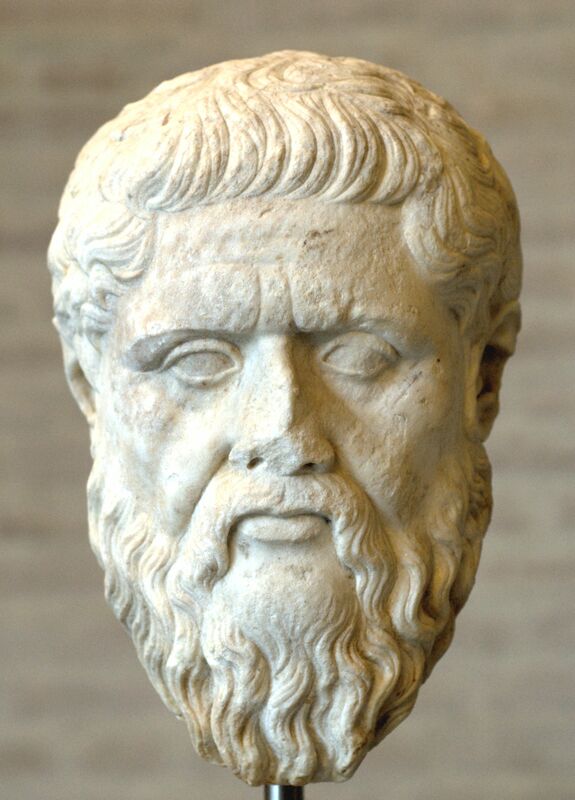 Searching for answers about the dysfunctional Western child welfare system that is unjustly confiscating thousands of children from their families every year I found a possible answer in Plato, whose profound influence on Western thought is well-known. A lot of my understanding of Plato comes from the legendary thinker Karl Popper and his work “The Open Society and its Enemies” which provided a rich resource for this article. Karl Popper, deliberating on the ideas, thoughts and ideals of Plato, found they corroborated with modern versions of communism or, as he lucidly expounds: “Plato’s description of the perfect or best state has usually been interpreted as the Utopian programme of a progressivist”. Today progressivist thinking drives ideas about social welfare and the family in many democracies around the world, particularly those of Western Europe. In the progressivist view, the natural family must be placed under the supervision of the State for children to be raised into proper citizens. Plato advocated a ruling classes-driven social order or what scholars call the “caste-state”. Such classist thinking would appear to contradict progressivist principles but, as we will see, Plato’s ideals for the ruling classes converge with today’s progressivist thinking about the family and childhood. Plato saw the maintenance of peace, harmony and stability in society as the responsibility of the ruling warrior class. For the ruling warrior class to fulfil this responsibility, it had to conform to certain principles, chief among which were the dissolving of filial ties in allegiance to the State and the understanding of the child purely as a future warrior to be trained to become an able member of the ruling class. Plato said that unity among members of the ruling classes could only be achieved through common ownership of children and family. The family and children were to be seen as “common property”, belonging to the State. Children did not belong to the parents and the extended families, but to the larger community, and in turn to the State. In Plato’s vision of “common property”, children were analogous to chattel: “As to this condition, -whether it anywhere exists now, or ever will exist,-in which there is community of wives, children, and all chattels, and all that is called ‘private’ is everywhere and by every means rooted out of our life, and so far as possible it is contrived that even things naturally ‘private’ have become in a way ‘communized’.” (Plato; Laws, Book 5, Section 739c). So Plato’s is a communitarian model for women, children and the family, or what would be termed as nationalization of family and children’ in contemporary leftist parlance. It is also an early version of the oft repeated refrain in modern child rights discourse that children do not “belong” to their parents. According to Karl Popper, Plato went so far as to propose that no member of the ruling class should be able to identify or connect with their children or parents. Echoes of such thinking lie behind state-sponsored child confiscation by today’s child protection agencies who are empowered to permanently remove children from their natural families to be raised in state custody or adopted by state-approved non-biological families. Interestingly, Plato’s ideas about the family were influenced by Sparta which he came to know through his military service in the Peloponnesian War between Athens and Sparta (409 – 404 B.C.E). Democratic Athens had suffered a crushing defeat at the hands of the oligarchic Spartans and, based on the principle that the victorious must be doing something right, Plato looked to Sparta in envisioning the ideal polity. He was particularly impressed by the Spartans’ political stability and single-mindedness. The Spartans had restrictions on the conduct of family life, and practices such as private meals within the family were banned. Instead, there was the practice of what Plato called “common meals”. Plato also had a blueprint for children’s education, namely that of moulding the future warrior class that would be ever-ready to strike against the foes of the State. This involved tight regulation of children, their minds and upbringing through education. The education envisaged by Plato had both a physical and a spiritual component. In rather gory terms Plato recommends that children of both sexes “must be taken on horseback within the sight of actual war; and provided it can be done safely, they must be brought into battle, and made to taste blood; just as one does with young hounds”. Plato saw children purely as future soldiers or warriors. Their education was to be tailored towards the creating a class of professional warriors. A striking vision of society as being in a perpetual state of war mobilization. The objectives of today’s welfare state and its progressivist ideologues are different, but the doctrine of determined enlisting of children to their cause is the same; the warfare today is between welfare state ideology and its counter-narrative. This leaves little room for any celebration or acknowledgement of families as the kernel of individual personality formation or the source of morals or code of conduct. It is implicit in such a view that cultural diversity is inimical to social order. What Plato is calling for is social homogeneity, which is what Western child protection tries to achieve by standardising rules for the raising of children and the conduct of family life. So it is not surprising to see a rising pattern of conflict today between Western child protection authorities and immigrant families, or religious or cultural minorities. Plato in his writings disparaged the role of family in educating children and was often wary of its influence in the formation of the ideal child and imparting the right education. Popper states that according to Plato: “The future of any State depends on the younger generation, and it is therefore madness to allow the minds of children to be moulded by individual taste and force of circumstances”. Plato’s radical and disruptive view of family merits distinct attention. Once the idea of shared communal property in children and the family has been established, the role and understanding of families is radically different from what might be called the “natural family”. Filial ties are to be subordinated to the State or, at best, tolerated at the mercy of the State. This idea of family as a source of disruption to society and the mistrust of family, especially in its ability to raise “ideal” children, is a leitmotif in modern child welfare discourse. Though dressed up in flowery language about saving children from the trauma of bad parenting, the ultimate justification of child protection advocates for State intervention in child raising is that if children are not raised in the proper conditions they will grow into unproductive and even dangerous adults, causing social instability and decline. This leaves little room for any flexible approach towards families rearing their children and distinctly calls for a heavy-handed interventionist approach by the state.